1. Cook pork in vegetable oil until browned a bit. season with salt. 2. add onion, garlic, shallot and jalepeno and spices. Cook until everything is coated with spice and the vegetables start to soften. 3. 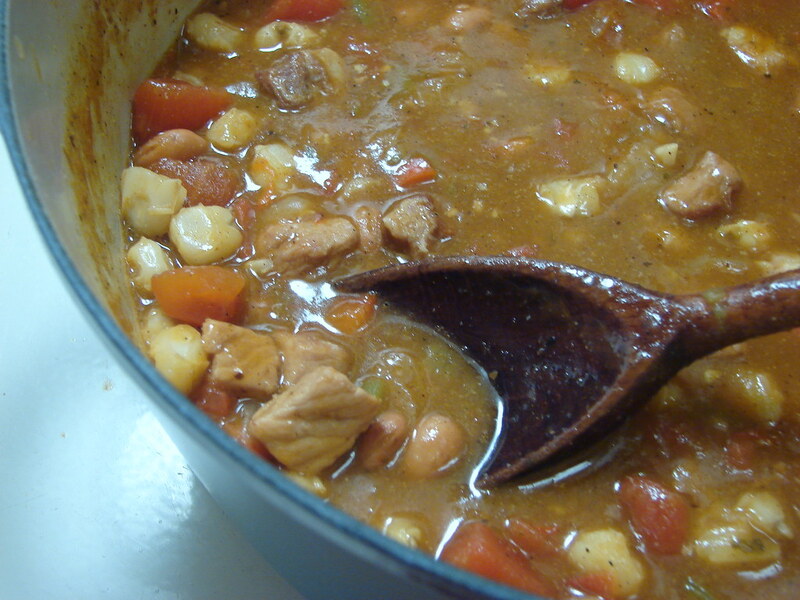 Add hominy, stock, tomatoes, beans and bell peppers. Taste and adjust seasonings to your liking. Simmer for at least 45 minutes. If desired, add a slurry of 2 Tbsps. corn starch and 2 Tblsps. cold water or stock and bring back up to a boil to thicken. 4. 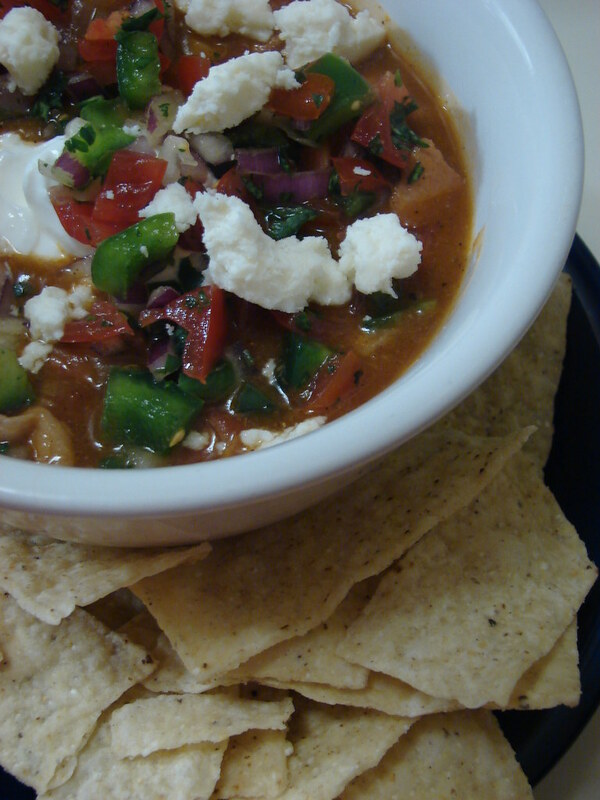 Serve with sour cream, pico de gallo, Queso Fresco and tortilla chips!! you sure know how to make pork pretty!